Homeopathy is based on natural law. The basic principle of homeopathy is that any substance which is capable of producing disease like symptoms in a healthy person can cure the same symptoms when given in extremely minute doses. Unlike conventional medicine, homeopathic remedies cure the disease by symptom similarity. That means, symptoms of the remedy should match with the symptoms of the disease to be treated. This is known as “similia similibus curentur” or “let like be treated by like”. Now let us see how homeopathic remedies are used to treat physical, mental, emotional and psycho-somatic disorders. 1. Arsenic poisoning causes diarrhea, vomiting and cholera like symptoms, therefore in homeopathy arsenic (arsenicum album) is used to treat diarrhea, vomiting and cholera. 2. Coffee produces sleeplessness and the homeopathic remedy coffea is used to treat insomnia or sleeplessness. 3. Chopping fresh onion causes runny nose and tears and the remedy prepared from fresh onion (Allium sepa) is used to treat cold and coryza. 4. Black widow (spider) bite produces symptoms of severe angina pectoris, and the remedy prepared from this spider (latrodectus mactans) is used to relieve the anginal pain. i. A pain producing substance is used to relieve pain. ii. A purgative is used to treat diarrhea and loose motion. iii. Substance causing sleeplessness is used to treat insomnia. iv. A narcotic is used to treat mental derangement and abnormal behaviors and to de-addict a person. v. A poison is used to antidote its own poisonous effects. That means, a substance which can cause a symptom can cure it also. It is not speculation. It is based on natural law, proved on healthy human beings and verified through clinical experience. 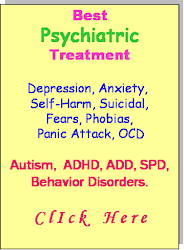 Now let us see how homeopathic remedies cure mental, emotional and behavioral disorders. It is a well known fact that some substances affect the mind profoundly and alter the mental and emotional state. For example, opium and its derivatives, alcohol, morphine, heroin, cocaine, cannabis, LSD, deadly night shade, thorn apple, monkshood etc. 1. Some substances produce the mental state of exuberance, exhilaration and happiness and make the mood cheerful. Person forgets his worries and painful memories and becomes indifferent to realities and his responsibilities. 2. Some produce a state of depression, grief, lethargy and lowness of spirits. 3. Some provoke amorous feelings and uncontrollable sexual desire. 4. Some substances boost thinking and comprehension. 5. Some substances make a man irritable and easily provokable. 6. Some substances produce different type of hallucinations. 7. Some cause excitement and loquacity while some make the person disinclined to talk. The list is endless and all of us have some kind of experience. In homeopathy, all these harmful substances are converted into useful remedies and are used to treat mental, emotional and behavioral disorders. The same principle applies here, i.e., symptom similarity and minute doses. These examples clearly illustrate that, physical diseases, as well as mental, emotional and behavioral disorders are treated the same way, i.e. by matching patient symptoms with the remedy symptoms and giving minute doses of the indicated remedy. Anxiety, from doubt about his success. Anxiety, in the presence of strangers. Anxiety, as if he had not done his duty. In homeopathy, there are different remedies for different shades of behaviors. Therefore the treatment is individualized to suit each patient according to his different, individualized behavior. Each and every patient being suffering and behaving differently, get different remedy, fitting his overall condition. That is why patients get better relief than conventional or any other form of treatment, and that is why homeopathy is curative. Homeopathic treatment is neither palliative nor suppressive like conventional medicine. There is no disease specific remedy in homeopathy, every patient is treated individually. Moreover homeopathic remedies have no side effects like conventional medicine. Below is a list of some abnormal behaviors that can be treated successfully with homeopathic remedies. Detailed list of treatable disorders with their corresponding remedies can be seen in “Homeopathic Repertory”. From this list you can easily guess the curative potential of homeopathy. 2. Repeats the same sentence. 3. Uncommunicative, disinclined to talk. 4. Talking: with himself, with imaginary persons. 5. Loquacity, incessant talking. Brain eater. 6. Aversion to friends and company, prefers to remain alone. 8. Indifferent: towards family; business; personal affairs; everything. 9. Forsaken feeling, feels alone. 10. Excessive anger, irritability and easily provokable. 11. Obstinate, disobedient, temper tantrum. 13. Destructive, loves to destroy everything. 14. Cruel, violent, loves inflicting pain and sufferings to people and animals. 15. OCDs, washing hands; bathing; persistent thoughts; shouting in public; impelled to touch everything etc. 16. Phobias, e.g. claustrophobia; agoraphobia; flying phobia, etc. 17. Suicidal disposition; inflicting self injury. 18. Sudden morbid impulses: to jump from a height; to kill someone; to put things on fire; to do violence; to throw child into fire, etc. 19. Absorbed in fancies and oblivious to the surrounding realities. 20. Exaggerated feeling of superiority/ inferiority. Finally, here are indications of some homeopathic remedies to show their effectiveness in various psychiatric disorders. Full description of these remedies as well as other remedies can be studied in standard homeopathic “Materia Medica”. Dread of people and desire to be alone. Cannot do anything in presence of others. Intensely shy. Time passes too slowly. Dwells upon unpleasant things. Slow of comprehension, has to read a sentence over and over again and then does not understand. Thinking powers are quite impaired. Repugnance to laughter and conversation. Excessive loquacity. Exuberance of spirits. Time seems too long; seconds seem like ages. Very forgetful; cannot finish a sentence. Stammering and stuttering. Constant fear of becoming insane. Grinding of teeth in sleep. Dreams of dead bodies. Insomnia. Mental dejection, caused by ideas of imaginary enmity. Great mistrust. Inquietude respecting the future. Inclination to drown oneself. Pertinacity in executing resolutions. The least thing puts the suffer beside himself. Delusions, he is persecuted; pursued by enemies. Incapacity to think or fix attention. Unconnected ideas; cannot follow an idea for any length of time. Stage fright. Strong inclination to suicide. Wants to throw from a height. Changeable mood. Silently brooding. Sad, tearful. Not communicative. Sighing and sobbing. After shocks, grief, disappointment. Intense grief after the death of some loved one. Sensorial depression. Sees, hears, tastes imperfectly. Slow in answering. Thoughtless; staring. Involuntary sighing. Picks lips and clothes. This is such a good post.Thanks for sharing.Keep it up! Thanks for appreciation. You'll find more articles very soon.